If April Box hadn't insisted on asking questions, she might never have walked again. Box has a congenital disorder that affected her ability to walk, even as a kid. She had her first reconstructive hip surgery in 1988, then another surgery a year after that. After a hip replacement in the early 1990s, her doctor told her she would never walk without crutches. She just wouldn't accept that. She sought out opinions of other doctors, and they eventually discovered why she couldn't walk: her pubic bone was dislocated. After figuring out the problem, she was able to walk again shortly after. She's had two more hip replacement surgeries since — the most recent in 2013 — and Box says she has finally resolved her issues. If she's learned one thing along the way, it's how to advocate for herself as a patient to ensure she has the best possible health care outcome. Now she works with other Spokane patients as a professional advocate, helping them achieve success when they go in for their own surgeries. "You're a consumer," she says. "It's one of the harder areas in our life to think of ourselves as consumers, because we just kind of take it as we see it, because insurance says go see this person, they're in a position of authority. So you have to push back on that a bit and [advocate for] your own wishes and desires." 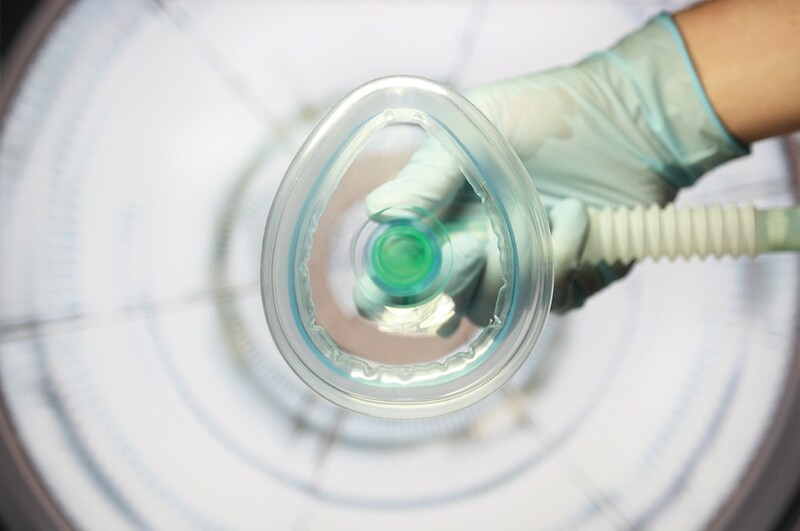 Medical care, by nature, is imperfect, says Richard Cook, an anesthesiologist and research scientist studying patient safety at Ohio State University. New treatments and new surgical procedures are always being developed, meaning that improving patient safety is a moving target. "We try and reach as far as we possibly can and get the best results for people we can, knowing we are going to fail, knowing we are not going to have good results for some people," Cook says. "That's not reassuring for the patient." The data show there's plenty of room for improvement. As many as one in 10 patients may be injured by medical providers who are supposed to be helping them, Cook notes. Hundreds of thousands of people in the U.S. acquire infections during treatment in a health care facility each year, and tens of thousands of people die from those infections, according to the Centers for Disease Control and Prevention. Additionally, 400,000 people experience an error in medication each year at a hospital, according to a report from the Institute of Medicine. Robin Shapiro, co-founder and president of Washington-based Allied Health Advocates, encourages people to not be patients, but active participants in their health care. "I think an informed consumer is the best consumer of anything," she says. "And nowhere is that more important than our health." In many cases, both patient advocates and health care professionals say hospital mistakes may be prevented if patients know the right questions to ask, aren't afraid to advocate for themselves, and have someone at their side to help out. Patient advocate April Box: Health care is "one of the harder areas in our life to think of ourselves as consumers." Although no one wants to exaggerate an illness or run up a big bill, Cook says it is better to get to the hospital before you are critically ill, if possible. Once at the hospital, he says, patients need to ask questions and make sure they understand what is going on; the American College of Surgeons (facs.org) has a detailed questionnaire you can refer to, and Cook advises people to be as honest and complete as possible about all the medications and substances they're taking. There's an added benefit to patients if their regular doctor takes part in their care. You can research your hospital ahead of time, too. Word of mouth can be helpful, but there are more vigorous assessments available as well. The Leapfrog Group (leapfroggroup.org) is a national nonprofit whose volunteer expert panelists produce a Hospital Safety Score each year. More than 2,500 hospitals received letter grades in 2016, including the hospitals of the Inland Northwest. And Medicare just released its own star-based hospital ratings in July (hospitalsafetyscore.org). If you are going in for surgery, Shapiro recommends taking time to choose a surgeon. Ask the surgeon how often they perform the surgery. Generally, the more times a surgeon does a procedure, the more proficient he or she becomes at it. Surgical errors can range from a dangerous object left in a patient's body to a relatively harmless accidental cut. Ask about the surgeon's complication rate for the surgery you are undergoing. The public interest journalism group ProPublica calculated complication rates for eight common surgeries and published those results in July 2015. Patients or prospective patients can search ProPublica's "Surgeon Scorecard" database online at projects.propublica.org/surgeons. Though each surgery is different, Shapiro says a few safety tips apply to most medical procedures or hospital stays. Stay alert about the medications you are being given. If you're hooked up to an IV, Shapiro says you should ask the nurse to remind you what's going in the bag and write it down. Be on the lookout for the potential of acquiring an infection; make sure anybody coming into the room has washed their hands. And it never hurts to have another set of eyes and ears. Ideally, someone should stay with you, especially overnight to make sure an accidental fall doesn't occur. Shapiro of Allied Health Advocates says it's important to remember that health advocacy is not about confronting the people treating you. Instead, it's about being curious and making sure you have the information you need. Don't confront the doctor with a problem. Instead, ask them for more explanation, she says. "We teach how to ask questions in a way that's helpful and productive," she says. Leaving the hospital for home is a vulnerable time for patients. Hospitals face incentives to discharge patients quickly, but if you feel you aren't ready to leave, ask to speak with your doctor. Medicare patients have specific rights when it comes to discharge, and the hospital is required to explain those rights. But be aware of what your doctor already knows: sticking around the hospital too long also has its dangers. "Hospitals are complex systems with human moving parts, so with every interface you have a human that can make an error, and there are sick people in hospitals that have diseases you don't need to be exposed to," says Dale Reisner, medical director responsible for Seattle's Swedish Health Services OB/GYN quality and safety. When patients are getting ready to be discharged, Shapiro says they should make sure they do four things: manage their medicine, keep their own health record, follow up with a doctor appointment and understand warning flags of a worsening condition. "Your doctor or surgeon is really a partner in care, and it's not a 'me vs. you' scenario," she says. "The doctor is a professional, but nobody is more informed about an individual than that particular individual." 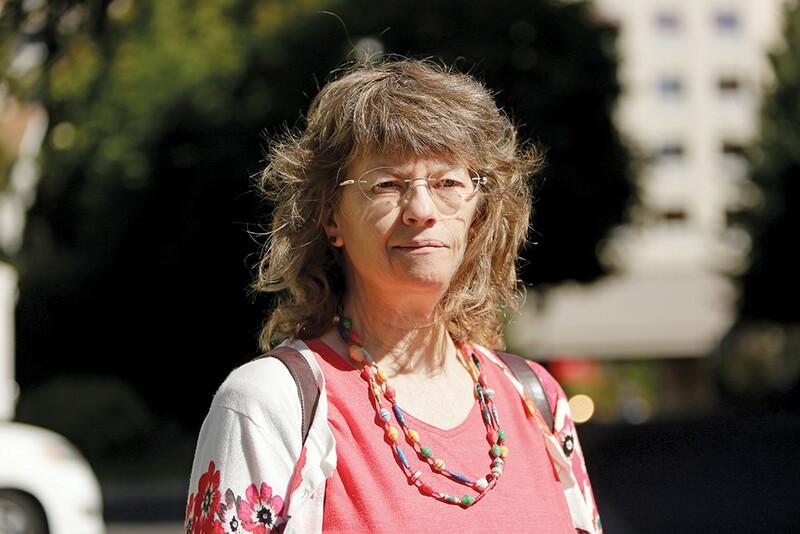 Few people understand that more than Io Dolka, a founding board member of the Washington State Health Advocacy Association and patient advocacy organization GreyZone. As a patient, Dolka experienced errors in surgeries to remove brain tumors twice within a span of five years. In 2010, following the first surgery, she had to go back to the hospital because of a complication that dropped her blood sodium level down to a dangerous level. Protocols were in place, but the signs that could have predicted the issue went unnoticed. Following the second surgery to remove a separate benign tumor, Dolka found out she had a specific condition that could lead her to experience a severe, life-threatening allergic reaction if given blood. Except that nobody ever told her about it, and she had to find it on her own. "If it wasn't for me looking for it, this would have slipped through the cracks," Dolka says. For Dolka, these experiences illustrate the fact that medicine is an error-prone art and science, and that some errors are harder to avoid than others. While more vigilance could have caught the drop in sodium levels, Dolka says it "went from point A to point B so fast" that it would have been difficult. But the second error — not notifying her about a condition that could have put her in danger — was something that the medical team is fully responsible for, Dolka says. Either way, she says it's better if patients are active in their own care. Cheryl Jacobs is a Seattle physician who has been practicing for about 20 years. Recently, she became frustrated that she didn't have time to develop relationships with patients like she used to. Patient relationships, she says, lead to better diagnoses and to finding root causes of medical issues. Jacobs became the second physician to join a clinic in Seattle that works with seniors. The clinic is run by Iora Health, a Boston-based, for-profit company that operates various clinics across the country. It's a single-payer system that Jacobs says allows for team-based care for patients that includes social workers and health coaches. She says she can "honestly say" they are doing better care — a decrease in emergency room utilization, a decline in hospitalizations — because they can devote more time to patients and because it's less driven by productivity. "The difference is people feel like we are their advocate," she says. "In the regular system, people are having to be their own advocate and navigate on their own."